such as repetition of stories or questions). - Identifying and diagnosing Depression in the elderly. - Differentiating Dementia and Depression. loss of independence, family/peer group loss. 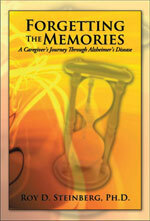 - Coping with behavioral issues related to Dementia. address memory loss as an adjunct treatment. - Psychological problems commonly seen in older adults. 1. A person you know and love may be slipping away or may "no longer be there". 2. Proper evaluation is key, and you need help in recognizing the difference between normal aging and cognitive decline so you can help to accurately diagnose, support, and care for your loved one. 3. You need to answer your own questions and preconceptions about Alzheimer’s Disease and other forms of Dementia in order to more meaningfully and effectively address whether your loved one has Alzheimer’s Disease or another type of Dementia. This helps you face your loved one's true condition more realistically, rather than weigh you down with false hope. 4. The process of discovering the truth about Alzheimer’s Disease and Dementia is like a light from a lighthouse that takes you out of the darkness of your own misconceptions. As a person progresses through the stages of Alzheimer's Disease, there are clear changes that occur - psychological, cognitive, and behavioral. Caregivers struggle to 1) see and 2) accept these changes, which are integral to providing meaningful and invaluable care. In his Seminars, Dr. Steinberg explains, in detail, how to overcome these personal struggles. Please to offer seminar topics that would be important to you, such as questions about Alzheimer’s Disease and other forms of Dementias which you have not yet been able to get adequately addressed, or to find out more about a Seminar near you. Your decision to attend will dramatically and positively impact you and your loved one’s life. seminars by Roy Steinberg, Ph.D.